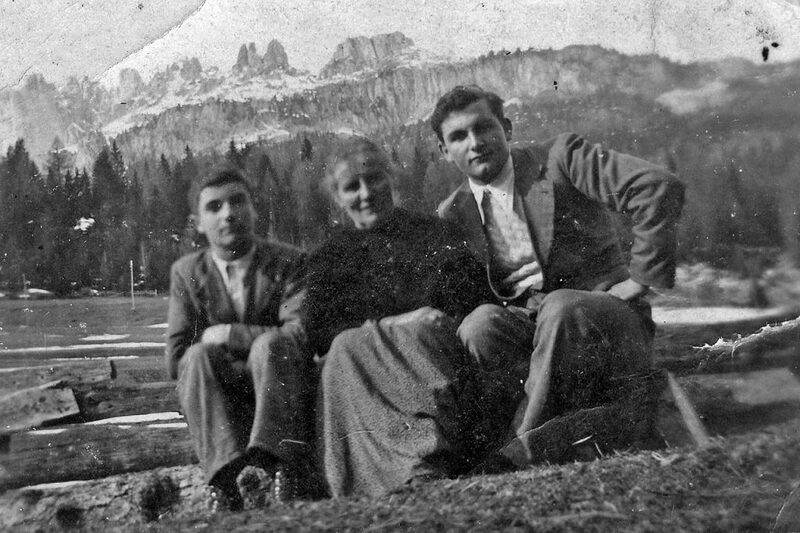 Chiocchetti family and in particular, to the mother, Crescenzia and her sons, Vito, Carlo and Adolfo. The father, Giovanni, built the house together with his brother, Michele, but he fell ill at a young age and only lived there for a few years. The house was later the home of his son, Adolfo, until he died in 1963. The rest of the family, who had moved to the centre of Vigo some years before, built what is now the Hotel Crescenzia. Another son, Vito, married and had 6 children. The eldest was called Renata, Nata to her friends. The years went by and the house was abandoned and became a ruin. When Vito died in 2002, he left the house to his daughter Renata, my wife. Together in the last few years, we managed to rebuild it,Renata returning it to its original splendour, in the same traditional style, respecting its original appearance. Unfortunately, in the summer of 2008, when our project was almost finished, Renata, unfortunately passed away. In fact, it is in her memory that I completed the building work and I named the house after her, Chalet Nata.